Chartio is a Business Intelligence solution designed to enable you to easily analyze and visualize your Google BigQuery data alongside all your business data in minutes. 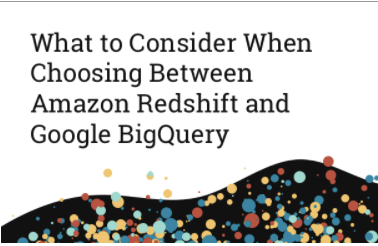 Access Google BigQuery insights in minutes. Either directly connect to your Project or do so with an SSH Tunnel Connection via your credentials. Easily share real-time insights, dashboards and charts across your organization powered by your BigQuery and business data.